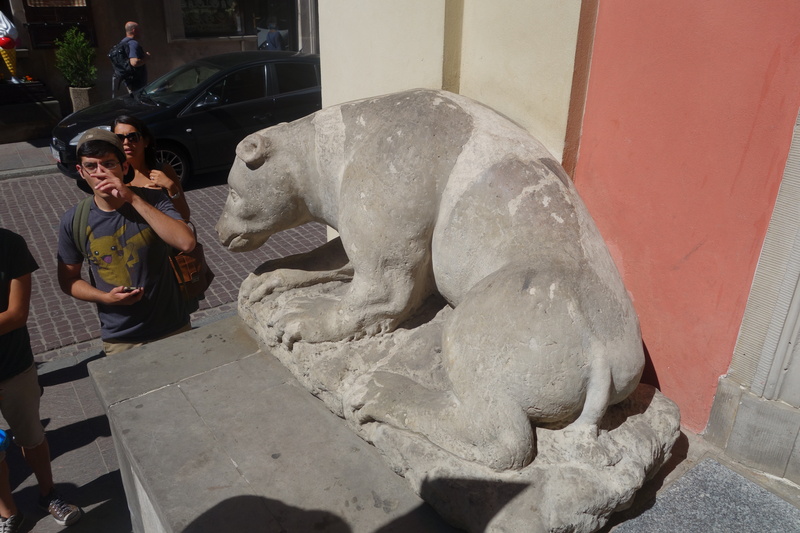 The best way to explore a city is to participate in the free walking tours. 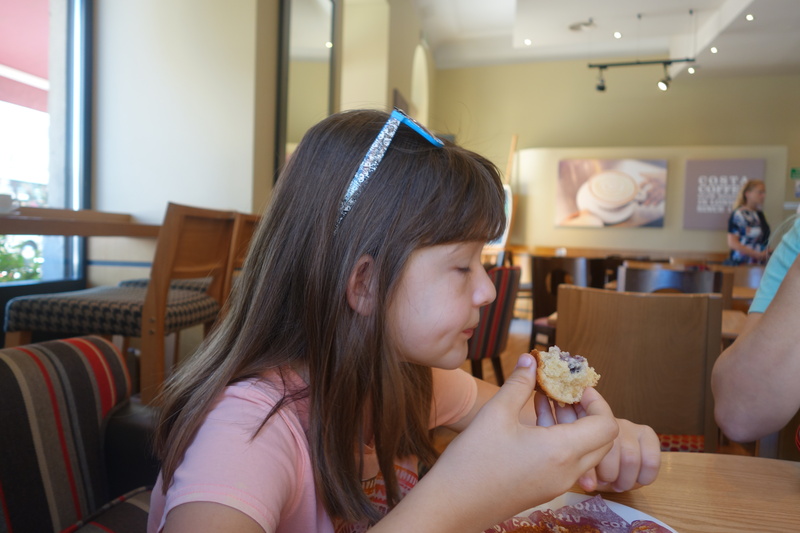 First, a quick breakfast at Coast Coffee, a fairly good carbon copy of Starbucks in Warsaw. 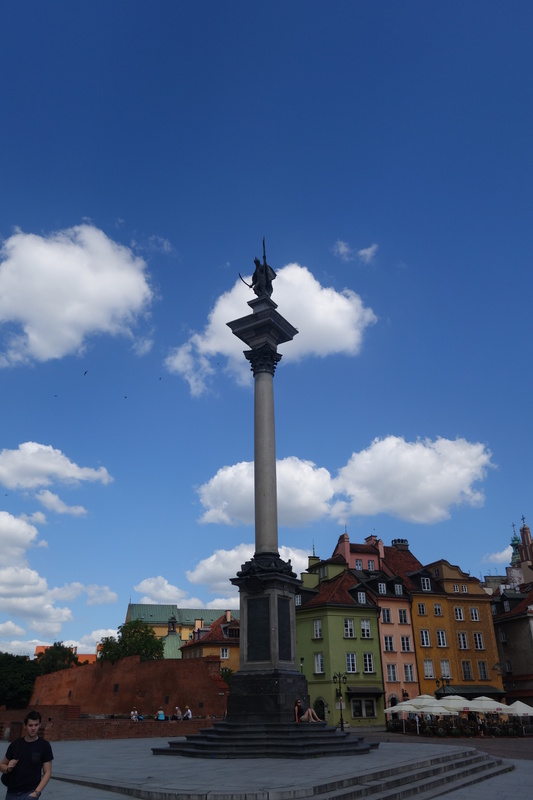 The group met at the Sigismund’s column, a restored statue and column, in the middle of Castle Square. 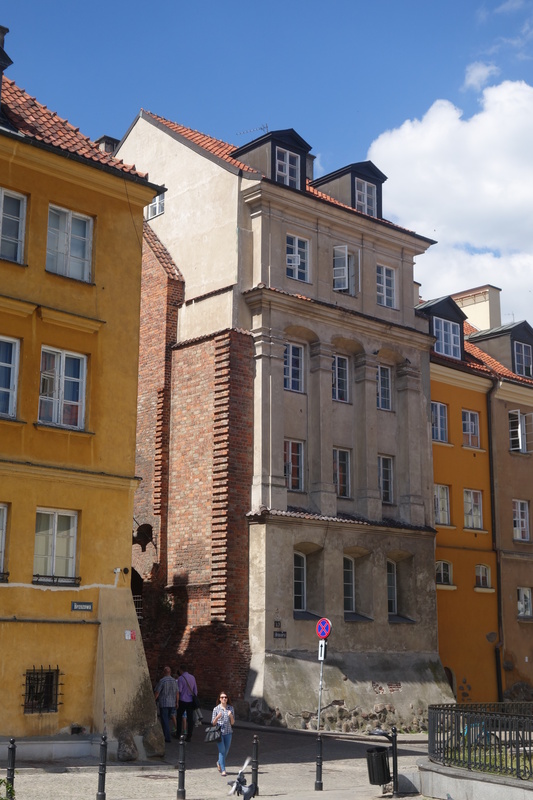 Very typical for Warsaw since 85% of the city was destroyed during WWII and restored within a few years. 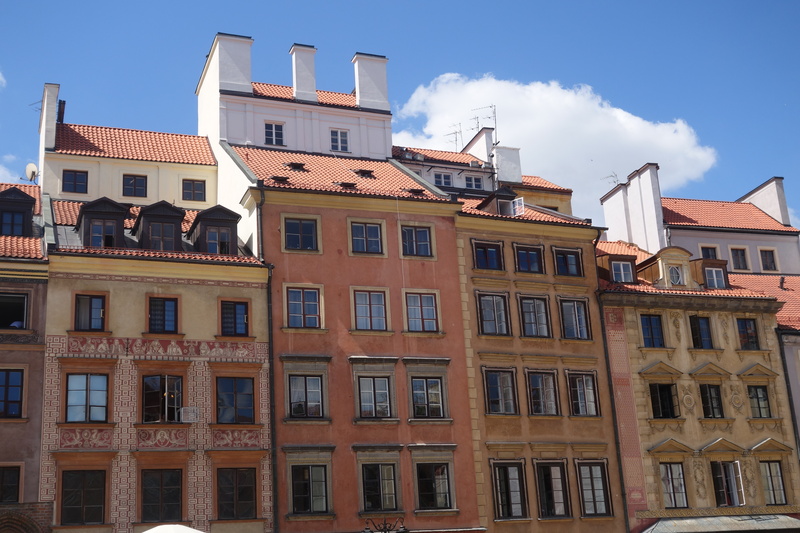 It took many other cities decades to restore, Warsaw did it in a few short years. An impressive feat for a nation in constant uprisings. The Royal Castle is not one of the impressive castles of Europe due to its history of being owned by many different kingdoms/nations. No time to indulge in expansion when you need to keep fighting for it. It’s astonishing to learn that Old Town Market Square was completely gone by 1944 and restored within 6 years. The square features numerous outside restaurants today and apartment buildings surrounding it. 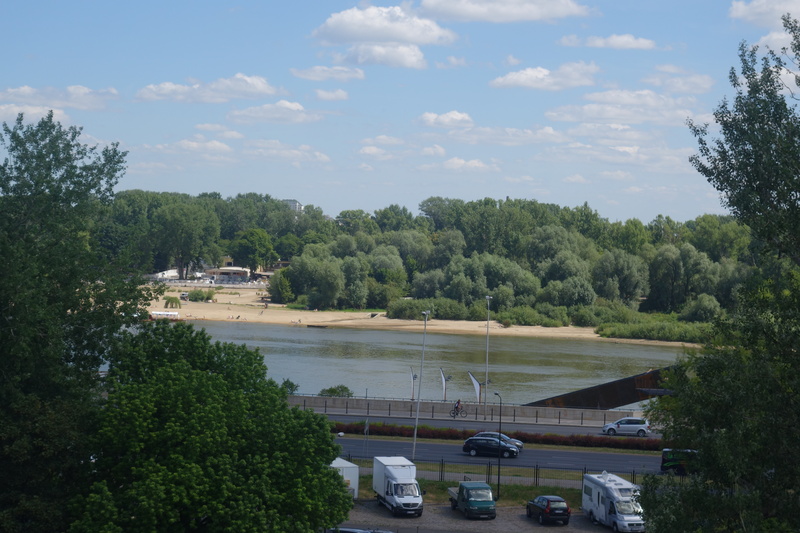 So far, Warsaw has not been taken over by speculators and real estate moguls. It’s only a matter of time. The restorations are meticulous and remind me of the Frankfurter Roemerzeile. 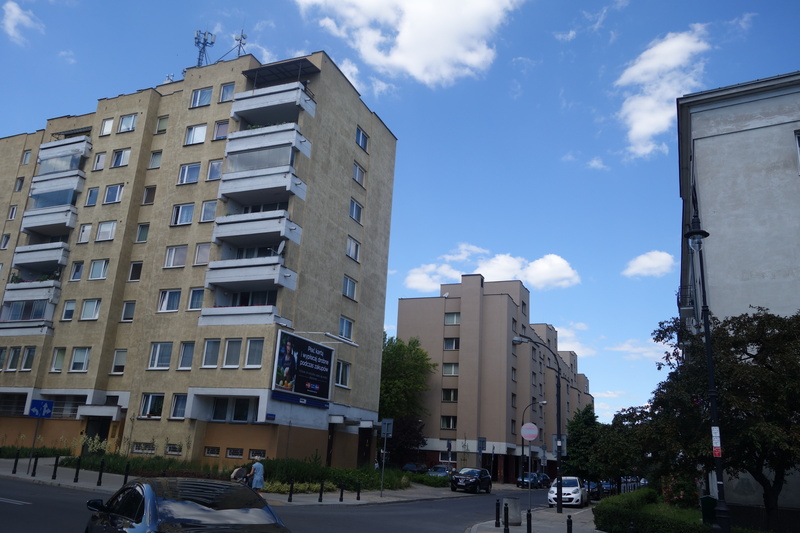 The further you walk away from the historic/tourist core, the more you realize how much work still lies ahead for Warsaw. A city with an impressive past and, hopefully, an even more impressive future. Not a bear but an enchanted, shy prince waiting for that kiss. Many have tried, nobody succeeded. So far. A view from the city walls. During Napoleon times, residents through out their garbage over the wall, creating the sweet smell of disease and non-hygiene throughout the city. According to the legend, Napoleon wasn’t very eager to return to Warsaw. Some of the city walls are still intact. After WWII, citizen used the bricks to build their own houses. 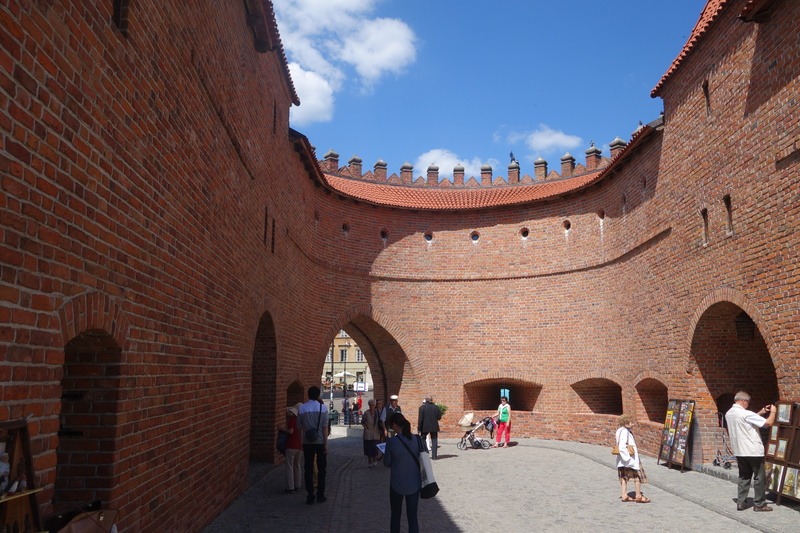 The walls were originally raised in the Middle Ages, with gates located at several points round the city. 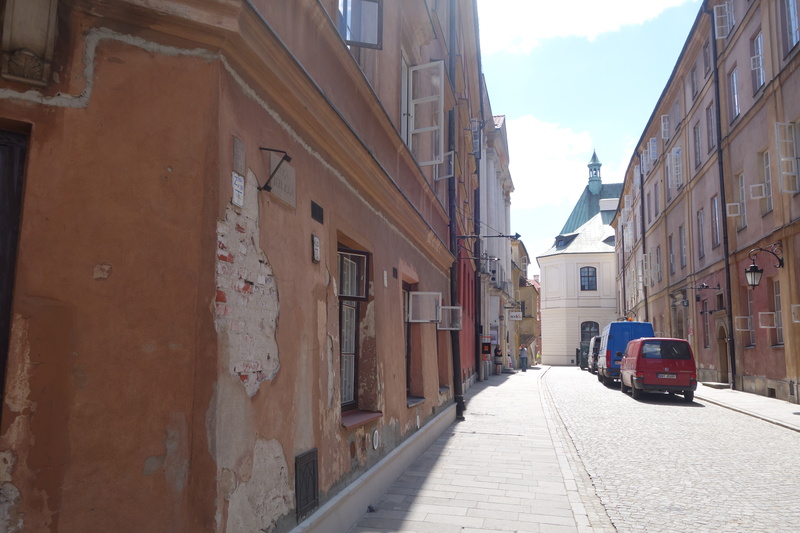 You can still see large fragments of the walls, particularly on the western side of the Old Town leading from Castle Square. 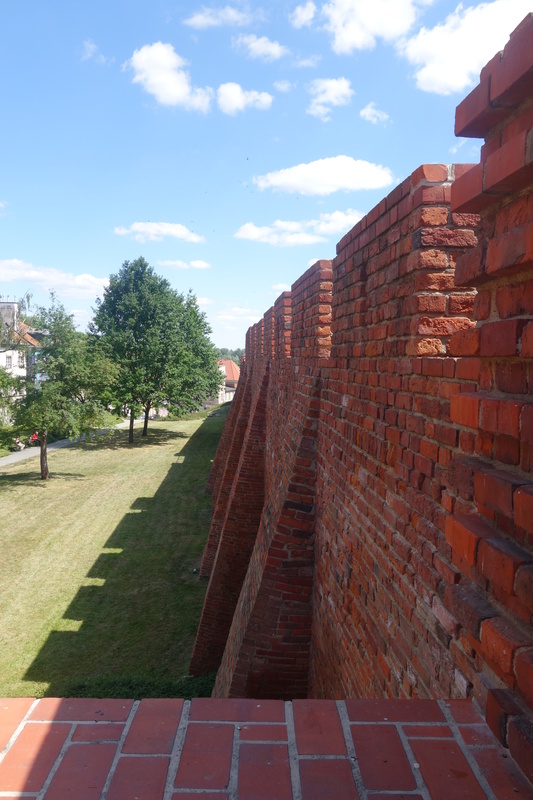 At the north end of the Old Town, a high segment of the wall forms an excellent viewpoint, looking out over the downhill slope to the Vistula, the rooftops of the New Town, and the round outline of the Barbican, through whose arches you pass as you exit old Warsaw. The Barbican was built in 1540 on the site of an earlier gate, probably in response to increased threat of invasion. It was an impressive bastion manned by fusiliers, surrounded by a deep moat, but its useful life was rather short. Not long after it had been built, advances in artillery made the Barbican obsolete, and it was used in actual defense of the city only once. 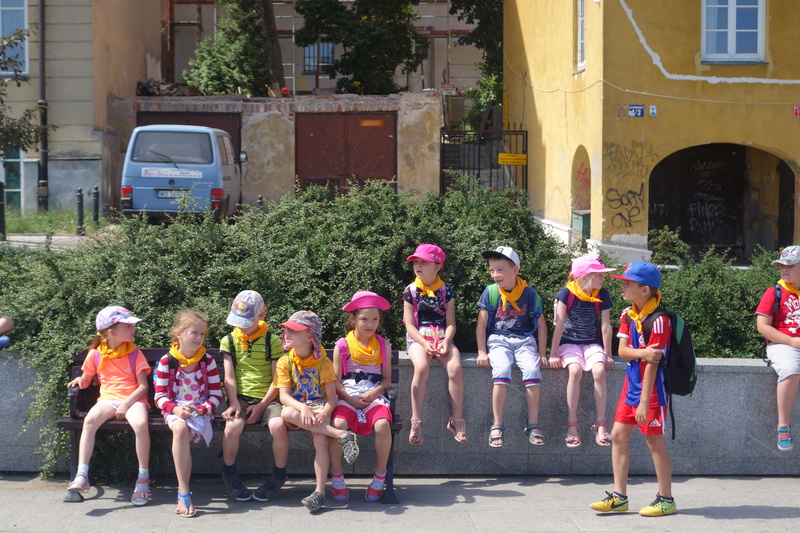 Polish kids enjoyed the history lesson as well. 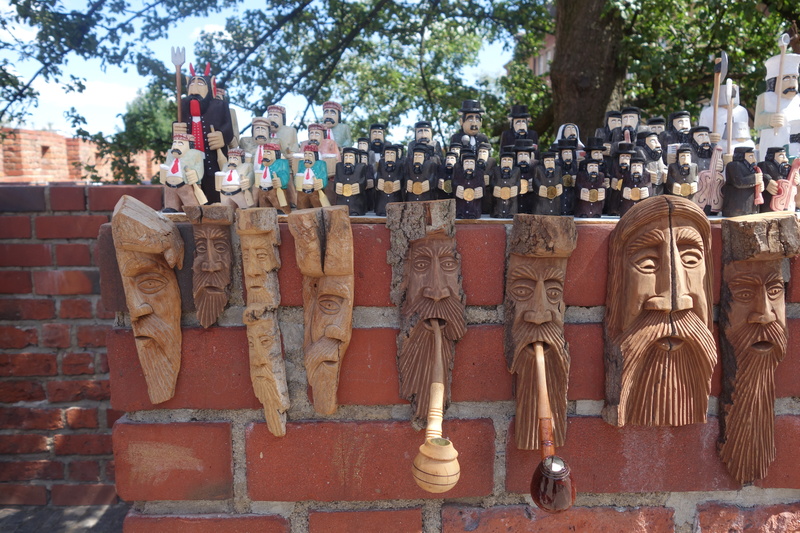 Wood carvings were sold around the wall. 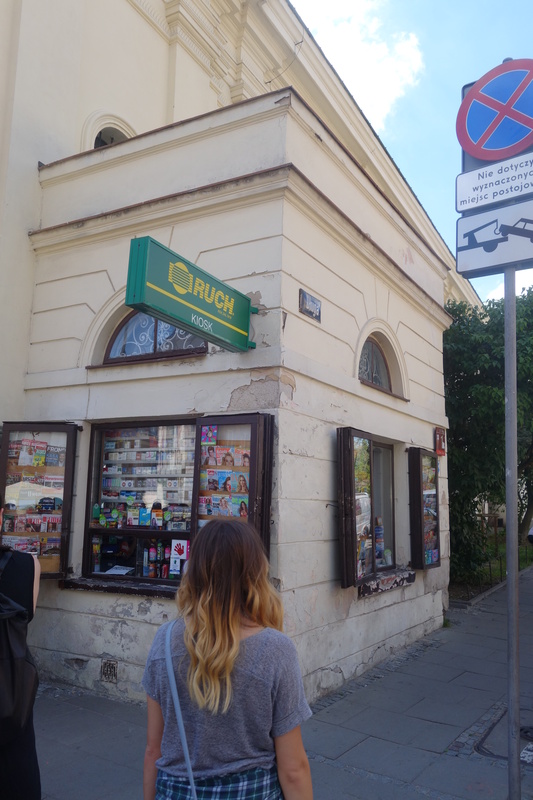 The smallest building in town. 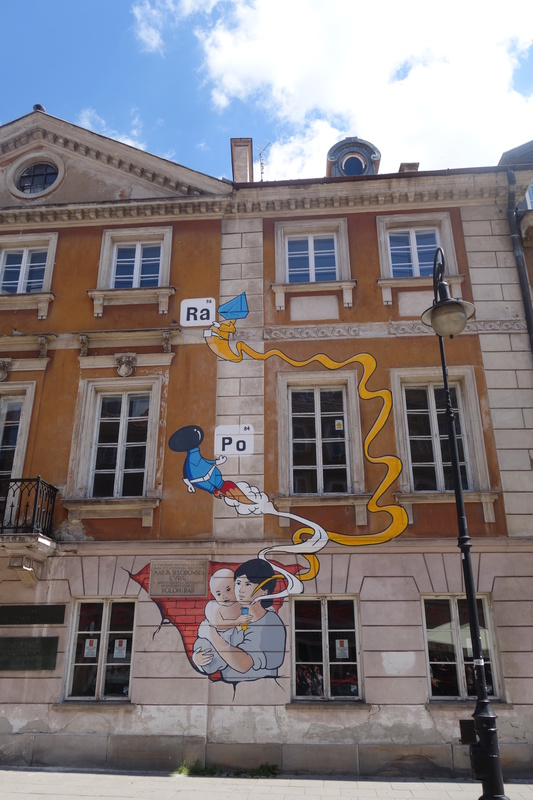 Marie Curie was born in Warsaw, a figure of national pride in Poland, together with Chopin. 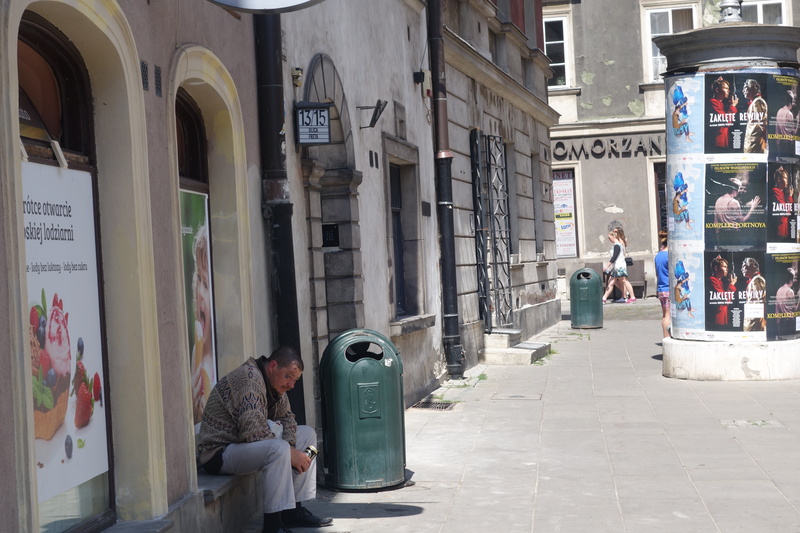 Alcoholism is an acute problem in Poland. You see inebriated groups stumbling around the city even in the early morning. 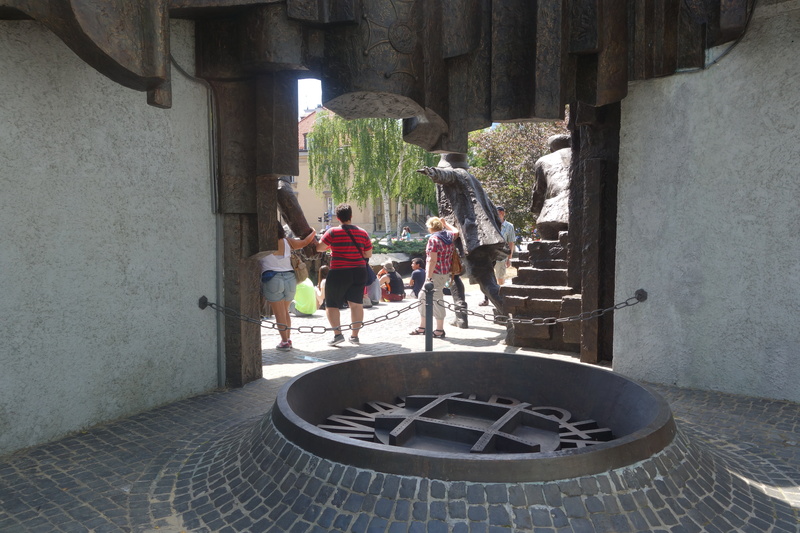 This is the entrance to the former Warsaw Ghetto. 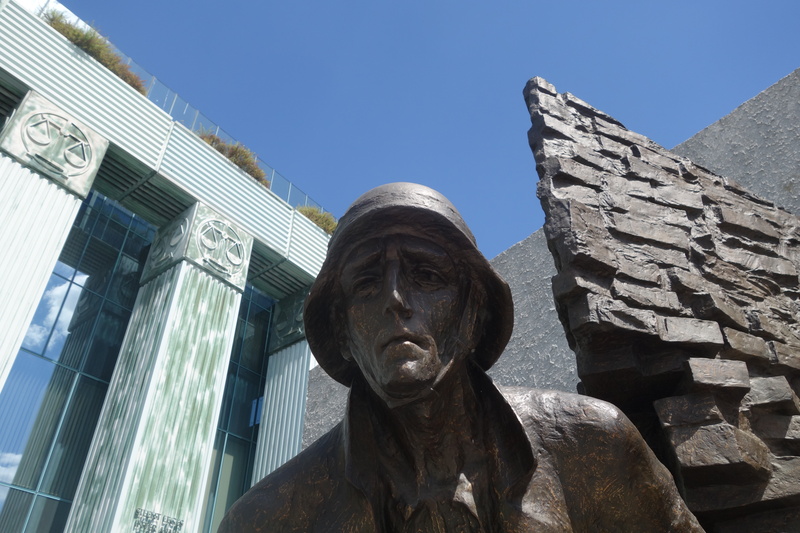 Almost everything was destroyed by the Nazis, mainly monuments and plaques commemorate the scene of despair and tragedy. 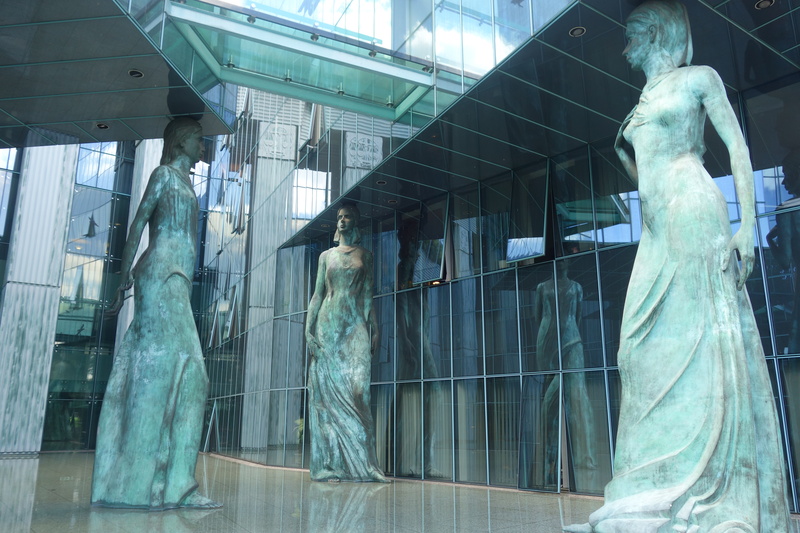 Next to the former ghetto, the new Supreme Court. 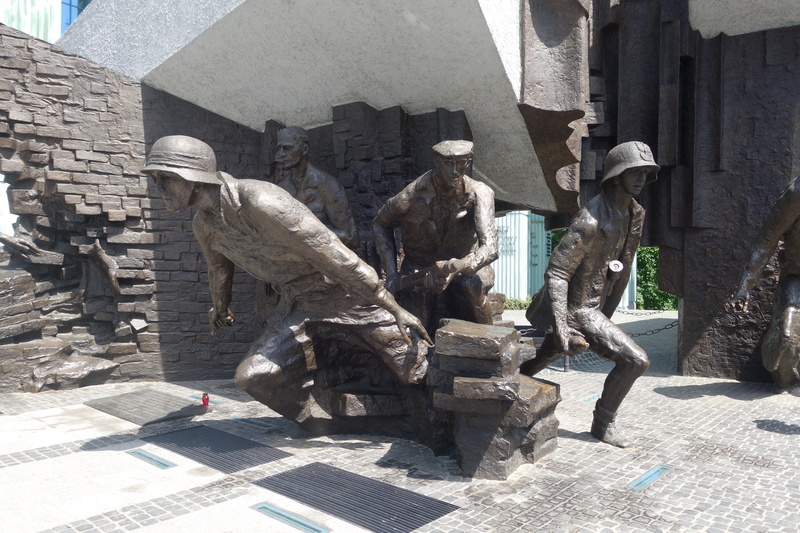 Adjacent to the court building, the Warsaw Uprising Monument. 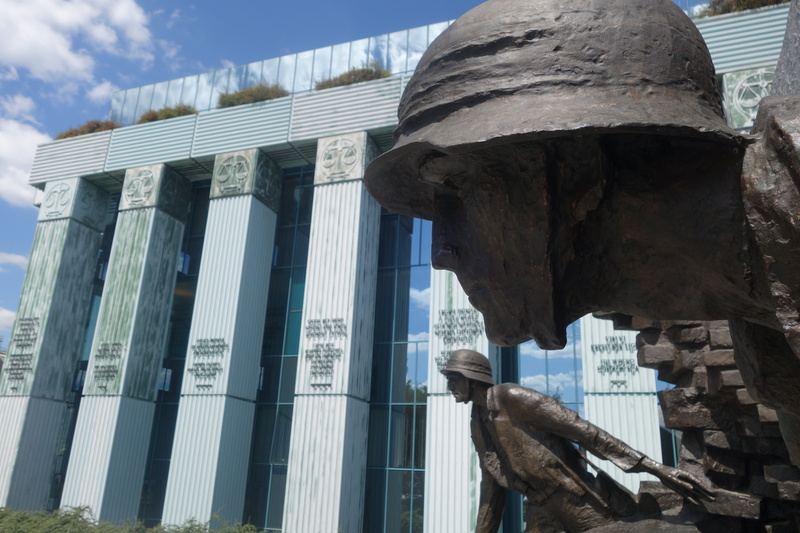 Many consider it the most important post-war monument in Warsaw. After the uprising was over, the Germans destroyed the city systematically, expelling all remaining people and looting whatever was left. Stalin also stopped the advance of his troops not to interfere with the uprising. 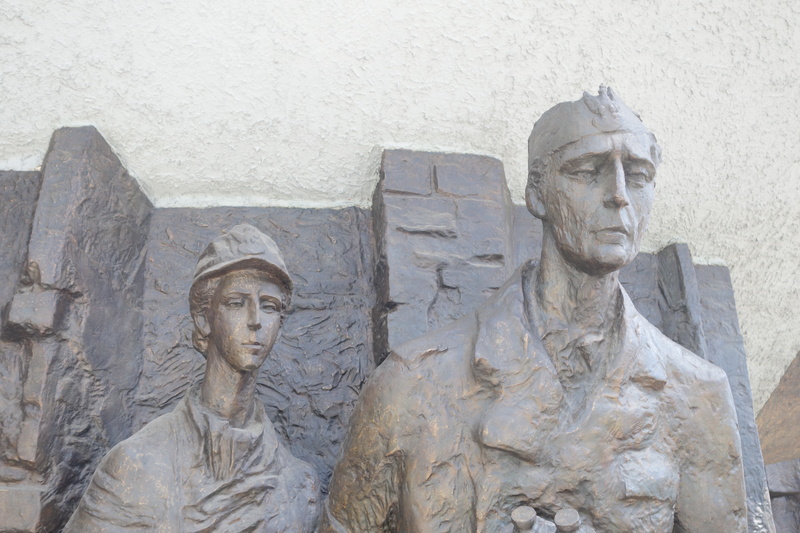 The significance of the uprising was downplayed until the Communist regime was replaced by a more democratic administration and is now a proud chapter in the Polish history. 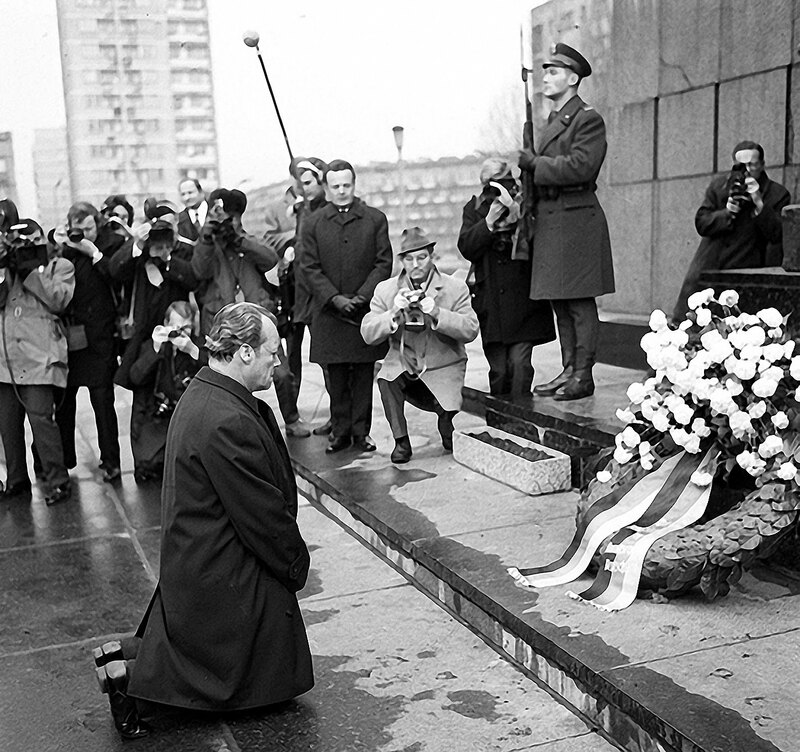 This is also the place where the former German chancellor, Willy Brandt, fell on his knees to ask for forgiveness for all the crimes and sins committed by Germans. More thoughts on this in a former post. This was the place, the scenery has changed quite a bit over the years. 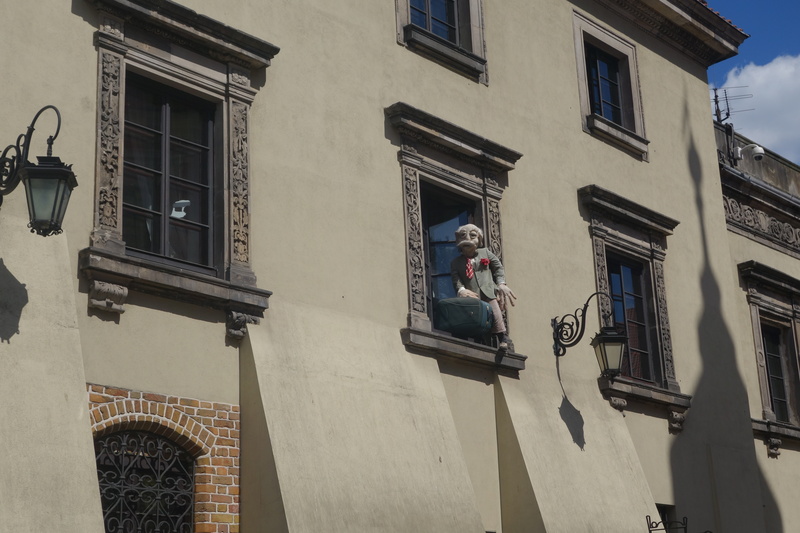 Just like Prague, Warsaw has its quirky side. 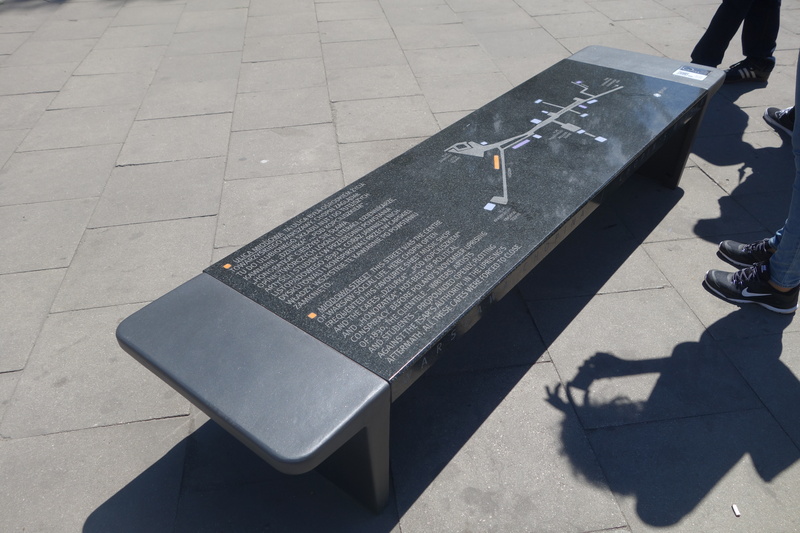 Interactive benches. Press the button and listen to Chopin. According to legend, last words of John Paul II. 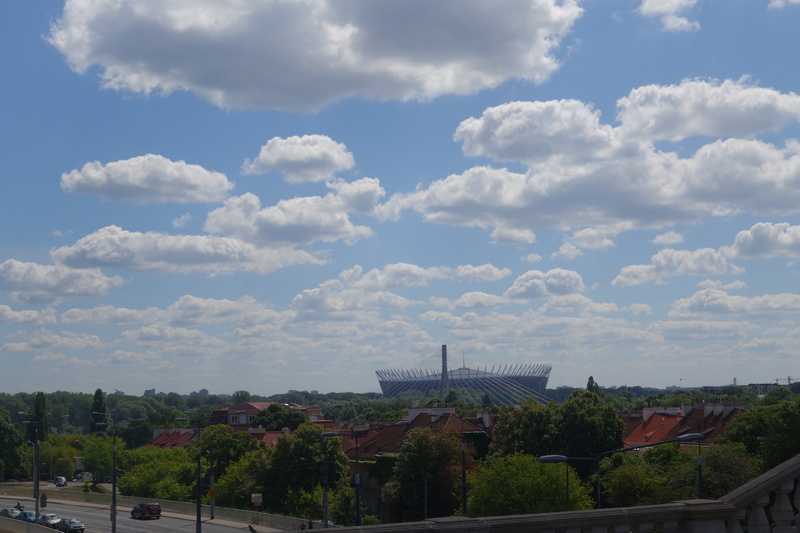 One more look at the Warsaw National Stadium. Waving goodbye to street vendors, peddling tennis balls on a string.